In the art critic circles there is a common misconception that pop music is an ephemeral, nearly trivial type of music that is easy to make, and therefore somehow of less value. Thankfully, neither of those assumptions are at all true, with nothing dispelling the notion faster than a band like WIGS, who dual-wield razor-sharp wit and energetic songwriting sensibility, and are scientifically proven to be fun as hell! This is partly due to WIGS being a very charming band. And not just because of the adorable faces of band members Owen Burr, Stella Rose Harvey, Anna Hart, and Sean Dodd, but because their music itself instills a sense of childlike joy and youthful rowdiness in the listener that could rock everywhere from a punk venue to an old-folks home. It’s not because the songs are dumbed down, but because their feelings are honest and universal. They started out like many other great bands: as friends. “Going into the summer I knew I really wanted to start a band, and so I knew Owen from high school was going to be in Bellingham, and knew we needed someone else so we also knew Stella from high school and got to know her better… but we still needed a drummer,” Anna recalled. To which Owen added, “and I had been in a band called Virgo Virgo with Sean, so I was like Sean, play drums!” From there, they started working on music that would reflect their relatable nature. This is also partly due to their multifaceted nature as artists. When watching them live, you notice that everyone in the band seems to be a a multi-instrumentalist to a degree. Not only does everyone dovocals, but Owen absolutely kills it on guitar and keys, Stella holds it down with guitar and some smooth bass playing, Anna does guitar and bass as well as very performative vocals, and Sean provides dynamic, thrashing drumming. There’s a special kind of energy that emerges from this melting pot of musical intuition; a well-roundedness and a cohesive vision. 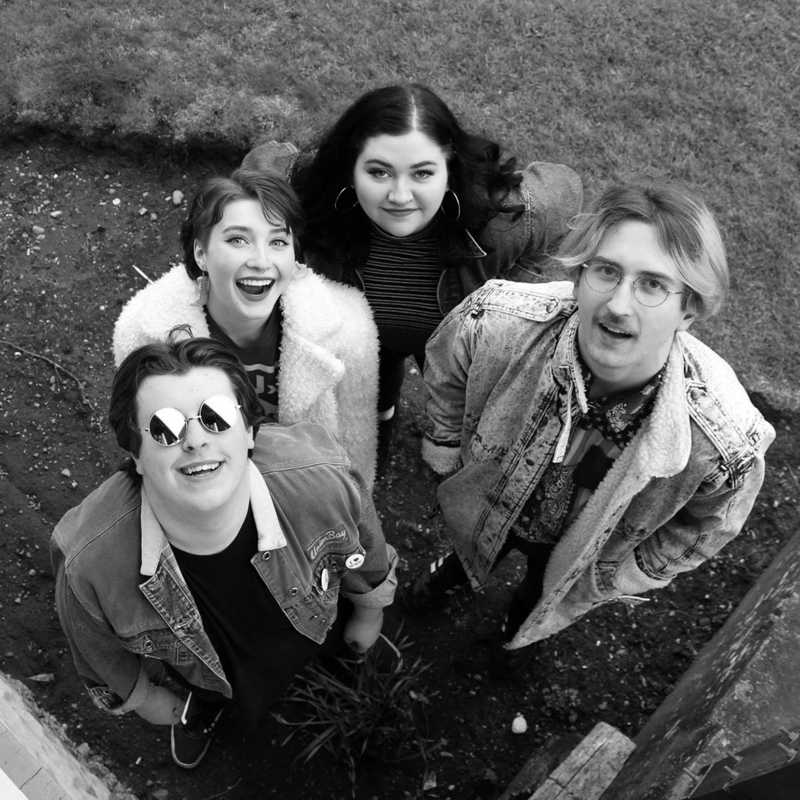 While they’ve only been around for about two years, there is just something about the band that is so inherently Bellingham, that it’s easy to see them sticking and becoming an important staple in the local music scene. Be sure to see their vivacious live shows and listen to their endearing tunes in the future, and follow their Facebook page to get dates for upcoming shows. Catch WIGS at The Shakedown on Nov. 30 with Skating Polly and Potty Mouth.